With fast cycle times ensures you can easily meet and manage high throughput speeds on your existing lines. Furthermore, the capital investment pays for itself quicker when you might even require fewer units to accomplish your tire labeling needs. Chromaffix’s modest footprint requires less space for installation offering flexibility in how and where the unit is installed on the existing conveyor in order to maximize valuable real estate in your facility. Few moving parts ensure greater ease of use & performance reliability, in addition to a reduction in potential system downtime. The simplistic design means there are fewer parts to fail, the cost of total ownership is reduced, and the label position accuracy on the tire is consistent. Engineered to perform in industrial environments, Chromaffix was designed with a protective shell to ensure machine hygiene; ultimately enabling less cleaning, maintenance, and upkeep over the life of the system. The simplistic design also ensures the unit remains reliably operating. 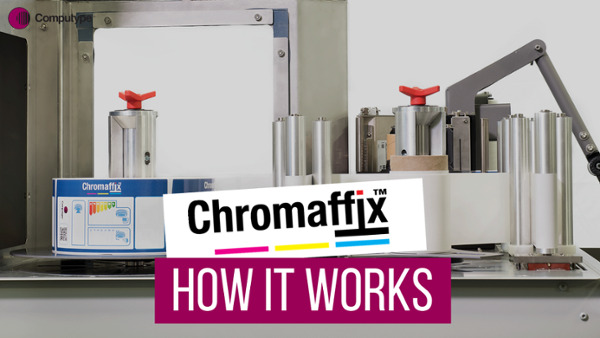 Chromaffix’s ergonomic design, coupled with fewer moving parts and a totally enclosed system ensures safety and ease of use for production line operators. Read our article about what levels of service you should expect from your label systems partner. The bead label of each tire is scanned at the in-gate stage, followed by automatic height adjustment, and a justifying arm that moves the tire into place for the applicator arm. A tread label is then printed and automatically and consistently applied to each individual tire. At the out-gate stage, the bead label scanner and tread label scanner offer a checkpoint to ensure data accuracy. 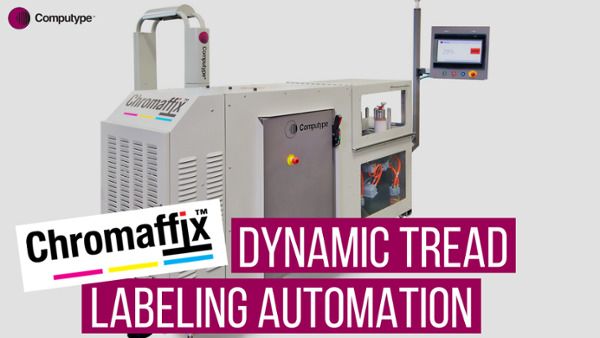 How much does an automatic tread labeling system cost? Read our article to start building your cost justification.